Myanmar's precious temples hold pride of place in the centre of this fascinating country, but nature's unrelenting power has carved a few spectacles of its own. After navigating the vibrant streets of Yangon, the tone is set for a journey of eye-opening beauty along the waters of the Irrawaddy, on board the luxurious Scenic Aura. Fly from Birmingham, Glasgow, London Heathrow, Manchester or Newcastle with Emirates. Alternatively, you can choose to fly with Singapore Airlines from London Heathrow or Manchester via Munich and Mandalay at no additional supplement. On arrival you will be met by your Scenic Representative and transferred to your hotel for two nights. Meet your Tour Director for a welcome briefing, followed by dinner. Hunt for antiques and handicrafts at Bogyoke Aung San Market. Alternatively, embark on a guided tour of Yangon’s thriving art scene, or ride a ferry across the Yangon River to Dhala village. As the sun begins to set, wander through Shwedagon Pagoda and learn about the ritual of ‘oil lamp lighting’ before partaking in this local tradition. Highlights: Enrich: lamp lighting Shwedagon Pagoda. Unearth the secrets of Sule Pagoda before commencing your drive to Pyay. Stop at Htaukkyant Allied War Cemetery. In Pyay, board the luxurious Scenic Aura and relax at a champagne welcome reception. Start with a visit to Shwesandaw Pagoda before heading to Sri Ksetra, the ancient Pyu Kingdom’s capital and also Myanmar’s first World Heritage-listed site. In Thayetmyo visit the oldest golf course in Myanmar, admire the region’s old colonial buildings and explore the gems on offer at the local market. Cruise to Minhla and explore the region’s famous fort. Later explore Magwe by trishaw, similar to a side car, visiting Mya Tha Lun Pagoda set on Naguttama Hill. Today visit Youqson Kyaung, a striking teak monastery. As your day continues, encounter the largest lacquer Buddha image in Myanmar before visiting the trio of brick shrines at Paya Thonzu. Stop off at Myinkaba, a small village famed for its lacquerware. Pick up some unique gifts before arriving in Bagan to visit the most iconic sight of this region, the Ananda Temple. A local village monastery will invite you to attend a delicious afternoon tea event. After the monastery, make your way to Shwesandaw Pagoda and Dhammayangyi Temple. Start your day with an invigorating visit to the bustling Nyaung U market, before stopping at a local tea house. Optional Hot Air Balloon Flight - Alternatively, take a hot air balloon flight over the majestic temples of Bagan. Must be pre-booked. (Note: Available only from late- October to late-March; all flights weather permitting). Venture to Mount Popa, before heading to a Toddy Farm where a traditional lunch awaits. Alternatively, explore the sights of the Temple Circuit and Nyaung U, plus the Lacquerware Museum and workshop, or visit Old Bagan where the largest concentration of temples are located. Enjoy a visit to Clay Pot Mountain and relish a relaxing drink while soaking up magical views over the Bagan plain. Partake in giving morning alms to the saffron-clad monks. Leaving Bagan, stop off at the riverside village of Schwe Pyi Thar before arriving in Yandabo. Famous for its pottery, stroll through the village and witness the craftsmen honing their craft. As the day progresses, enjoy demonstrations about the traditional dress Longyi and local cosmetic Thanaka. In the evening, attend a traditional puppet show. During a special visit to a quiet nunnery in Sagaing, you will be invited to donate food to the resident nuns. Enjoy a freshly prepared lunch with them and learn more about the Buddhist religion in Myanmar. Later by horse and cart, explore Inwa, the capital of the Ava Kingdom for more than 400 years. Visit a 200-year-old teak monastery and the leaning Inwa Tower. Cruise to Mingun to discover the stories behind a massive unfinished brick pagoda. Nearby, admire the famous uncracked Mingun Bell and the all-white Hsinbyume Pagoda. Sail to Mandalay to visit Amarapura. Enjoy drinks in boats under U-Bein Bridge, the world’s longest teak bridge, to capture that photo of the bridge at sunset. Later, enjoy a farewell dinner on board. Disembark your cruise today. Learn how to produce gold leaf at a local workshop. After continuing on to Mahamuni Pagoda, male guests will be able to place the gold leaf on one of the iconic Buddha statues. Marvel at the intricate artistry on display at Shwenandaw, a beautiful wooden monastery. Equally as impressive are the sights at Kuthodaw Pagoda, where the ‘World’s Largest Book’ is housed. 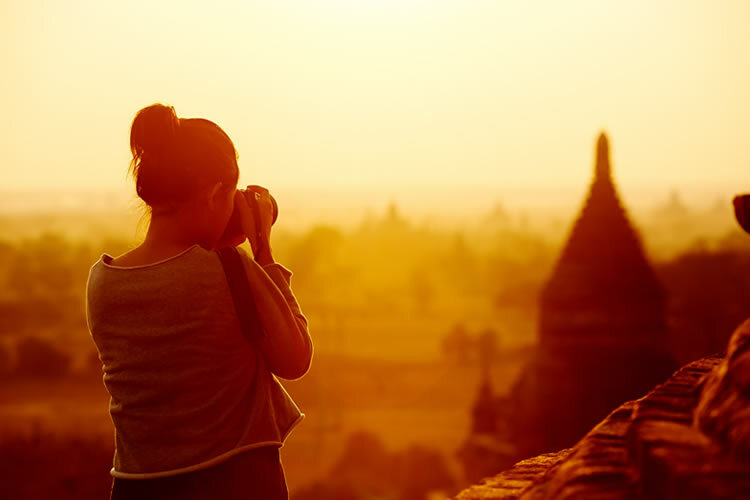 Later, head to Mandalay Hill as the sun sets to enjoy the magnificent views before a night at your resort. Fly to Heho and stop at Shwe Yan Pyay Monastery, before continuing to Nyaung Shwe for exploration by trishaw. Relax at Red Mountain Estate Vineyards for some local wine tasting. Glide across the waters of Inle Lake in private long tail boats towards your hotel for a three night special stay. Cruise to Inle Lake’s floating market, which moves location every five days. Later, visit the Phuang Daw Oo Pagoda, one of the region’s holiest sites. Learn all about traditional Intha cooking with a visit to a local Intha family home for lunch and a hands-on cooking class. In the afternoon, traverse a small canal leading to the Pa-Oh village of Indein. Choose between Aureum Palace Hotel or the Red Mountain Estate Vineyard. Visit Pindaya Caves and try cooking local cuisine, or travel deep into the Shan Hills to the hidden ‘forest of temples’ at Kakku. Alternatively, explore Sagar, a place which offers a taste of the ‘real’ Inle Lake or set off on foot to explore Inle’s surroundings on a local village trek. Fly to Yangon for one last special stay. Undertake a walking tour through the cobbled streets of Yangon. Later, view the enchanting Kandawgyi Lake and enjoy a visit to Chaukhtatgyi Paya, Yangon’s reclining Buddha. Tonight savour your farewell dinner in Myanmar. After breakfast, transfer to the airport for your return journey home. Discover the village of Myinkaba, a small village famous for its laquerware workshops.